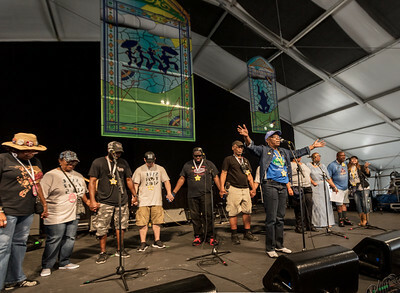 The Gospel Stage production staff opens the New Orleans Jazz & Heritage Festival 2017. 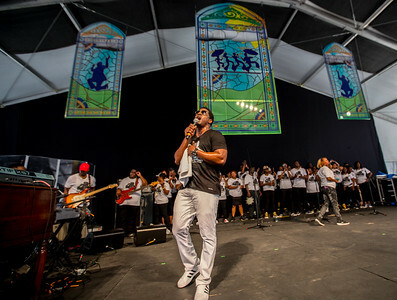 Gospel Inspirations of Boutte perform during day 1 of the New Orleans Jazz & Heritage Festival 2017. 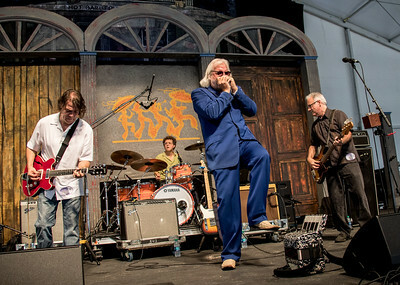 Johnny Sansone performs during day 1 of the New Orleans Jazz & Heritage Festival 2017. 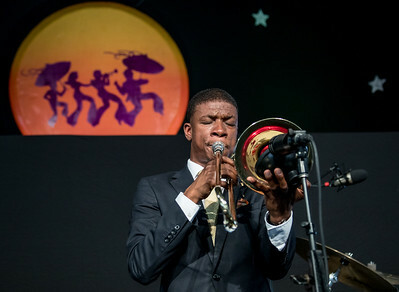 David L Harris performs during day 1 of the New Orleans Jazz & Heritage Festival 2017. 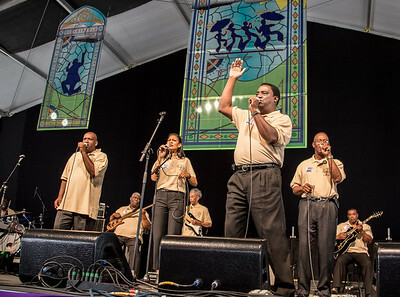 The Batiste Fathers and Sons performs during day 1 of the New Orleans Jazz & Heritage Festival 2017. 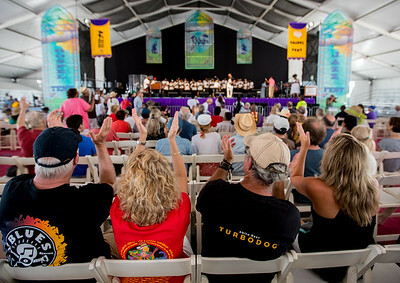 Pastor Tyrone Jefferson performs during day 1 of the New Orleans Jazz & Heritage Festival 2017. 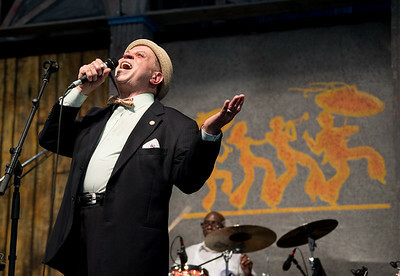 Mr. Sip performs during day 1 of the New Orleans Jazz & Heritage Festival 2017. 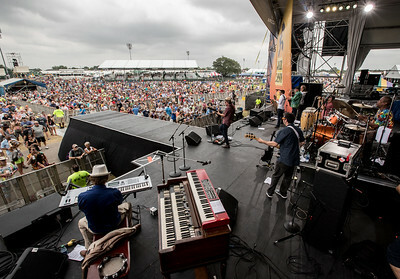 The New Orleans Suspects perform during day 1 of the New Orleans Jazz & Heritage Festival 2017. 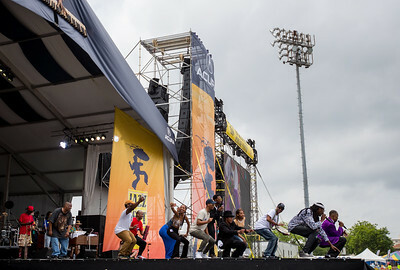 New Orleans Suspects performs during day 1 of the New Orleans Jazz & Heritage Festival 2017. 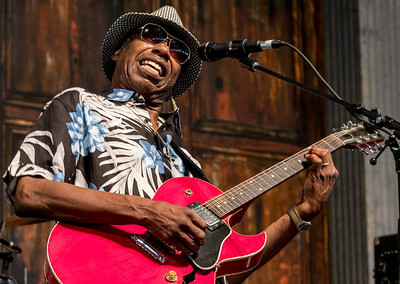 Walter Wolfman Washington performs during day 1 of the New Orleans Jazz & Heritage Festival 2017. 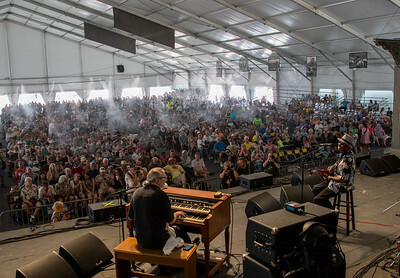 The Joe Krown Trio featuring Walter "Solfman" Washington and Russel Batiste Jr. performs during day 1 of the New Orleans Jazz & Heritage Festival 2017. 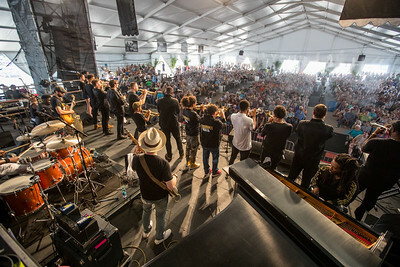 The Trumpet Mafia performs during day 1 of the New Orleans Jazz & Heritage Festival 2017. 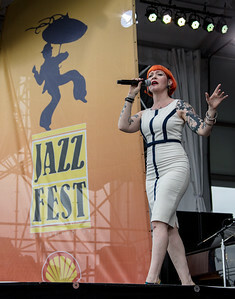 Meschiya Lake & the Little Big Horns perform during day 1 of the New Orleans Jazz & Heritage Festival 2017. 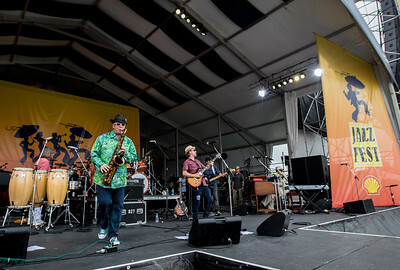 Meschiya Lake & the Little Big Hornsperforms during day 1 of the New Orleans Jazz & Heritage Festival 2017. 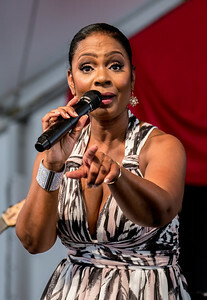 The Stephanie Jordan Big Band performs during Day 1 of the New Orleans Jazz & Heritage Festival 2017. 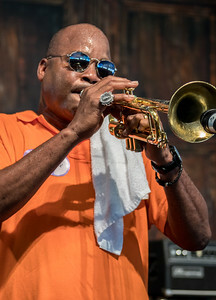 James Andrews performs during day 1 of the New Orleans Jazz & Heritage Festival 2017. 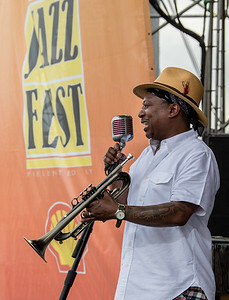 Kermit Ruffins & the BBQ Swingers perform during Day 1 of the New Orleans Jazz & Heritage Festival 2017. 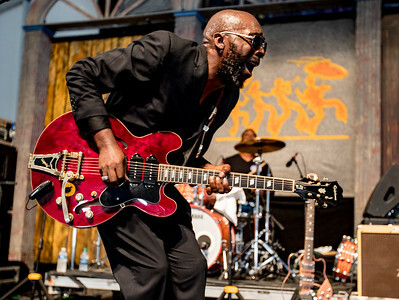 Deacon John performs during day 1 of the New Orleans Jazz & Heritage Festival 2017. 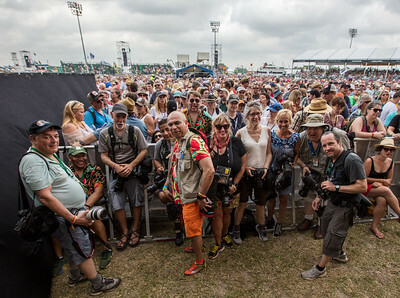 Shady lookin' bunch of photographers on day 1 of the New Orleans Jazz & Heritage Festival 2017.